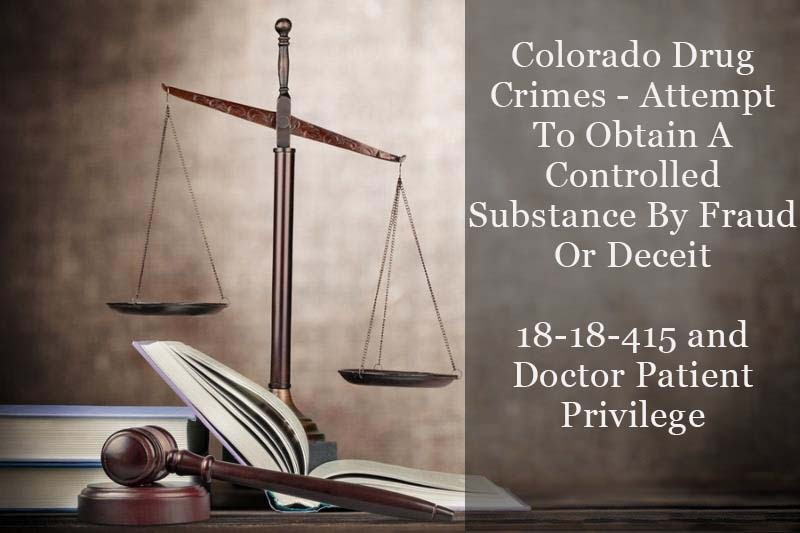 Colorado Drug Crimes – Attempt To Obtain A Controlled Substance By Fraud Or Deceit – 18-18-415 and Doctor Patient Privilege – Medical records such as prescriptions fall within the doctor-patient privilege. However, when you are charged with an Attempt To Obtain A Controlled Substance By Fraud Or Deceit under Section 18-18-415 CRS – the question is whether the State can obtain those records and use them against you at trial. A recent Colorado case holds that a physician’s prescription order, prior to the “scripts” alleged alteration by a Defendant, IS usable at trial against the accused under Section 18-18-415(1)(b). This statute provides a “statutory” exception to the usual privileged communications rules. (1)(a) No person shall obtain a controlled substance or procure the administration of a controlled substance by fraud, deceit, misrepresentation, or subterfuge; or by the forgery or alteration of an order; or by the concealment of a material fact; or by the use of a false name or the giving of a false address. 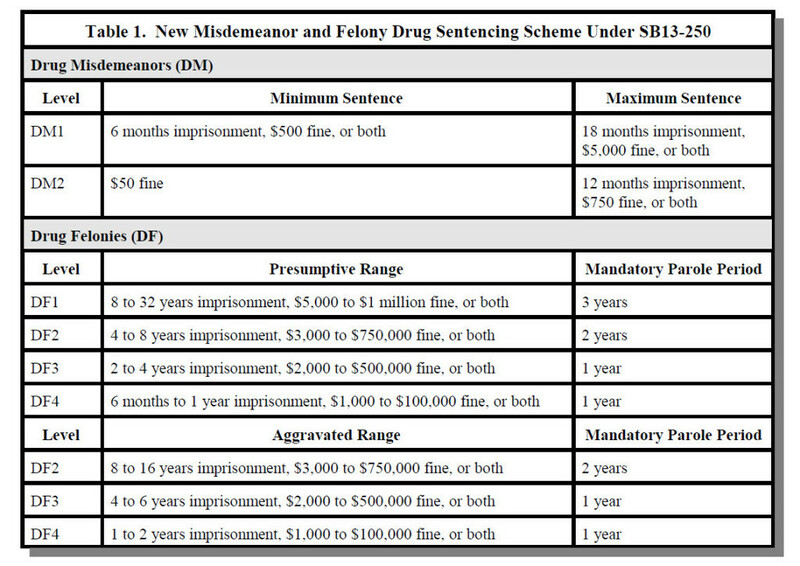 (2) Any person who violates any provision of this section commits: (a) A level 4 drug felony and shall be punished as provided in section 18-1.3-401.5. 4. by fraud, deceit, misrepresentation, or subterfuge; or by the forgery or alteration of an order; or by the concealment of a material fact; or by the use of a false name or the giving of a false address. After considering all the evidence, if you decide the prosecution has proven each of the elements beyond a reasonable doubt, you should find the defendant guilty of obtaining a controlled substance by fraud or deceit. After considering all the evidence, if you decide the prosecution has failed to prove any one or more of the elements beyond a reasonable doubt, you should find the defendant not guilty of obtaining a controlled substance by fraud or deceit. The issue is this – can the State of Colorado compel a doctor to reveal information about a specific prescription at the trial of a former patient of that doctor where the charge involves altering that prescription and alleging prescription fraud? The answer is yes – this is no protection under Colorado’s physician-patient privilege in this situation. This evidence – such as a written prescription – later allegedly altered by the Defendant IS not privileged in light of section 18-18-415(1)(b)’s statutory exception to privileged communications. The Doctor – Patient privilege is actually a law that is used by Defendant’s to prevent the use t trial of communications to medical professionals and medical records created during medical treatment against the patient on trial. Other privileges I have written about within this same law – Colorado Testimonial Privileges 13-90-107 include the Priest-Penitent – and Husband-Wife Privilege. The Physician- Patient Privilege is one of the broadest of all rights to confidentiality because it also encompasses “information acquired in attending the patient” and therefore is not limited to communications made by a patient to his or her doctor but includes hospital and medical records which fall well within the scope of the privilege. For example mental health and associated alcohol and drug abuse treatment records are privileged also fall under the physician-patient and the psychologist-client privileges. Now Enters The Statutory Exception Colorado’s Doctor Patient Privilege Law For Prescription Fraud Cases Under Section 18-18-415(1)(b) C.R.S. Section 18-18-415(1)(b) operates as an exception to the physician-patient privilege found at Section13-90-107(1)(d). Information communicated to a practitioner in an effort to procure a controlled substance, in section 18-18-415(1)(b) (the exception to the privilege) extends beyond statements made by a patient to his or her doctor to include medical records created to procure a controlled substance, which a defendant uses in an effort to unlawfully procure the controlled substance. Therefore section 18-18-415(1)(b) applies to a doctor’s original prescription later altered by a Defendant who is then charged with Attempt To Obtain A Controlled Substance By Fraud Or Deceit – 18-18-415. You should be careful to make a responsible choice in selecting a Colorado Criminal Defense Lawyer – and we encourage you to “vet” our firm. Over the last 30 plus years – by focusing ONLY on Colorado criminal law – H. Michael has had the necessary time to commit to the task of constantly updating himself on nearly every area of criminal law, to include Colorado criminal law and procedure and trial and courtroom practice. H. Michael works hard to get his clients the best possible results in and out of the courtroom. 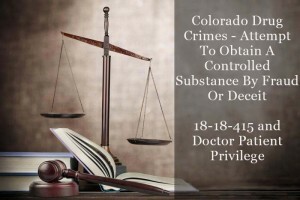 He has written, and continues to write, extensively on Colorado criminal law and he hopes this article helps you in some small way – Colorado Drug Crimes – Attempt To Obtain A Controlled Substance By Fraud Or Deceit – 18-18-415 and Doctor Patient Privilege. Medical records such as prescriptions fall within the doctor-patient privilege. However, when you are charged with an Attempt To Obtain A Controlled Substance By Fraud Or Deceit under Section 18-18-415 CRS - the question is whether the State can obtain those records and use them against you at trial.